Ankara is improving relations with Russia and Iran – does this signal a structural shift? Despite Western concerns about Turkey’s recently improved relations with Russia and Iran, the pivot does not represent a structural shift in Ankara’s geopolitical stance. The failed coup in Turkey on July 16 has strained already tense relations between Ankara and the West. President Erdoğan has accused the EU and US of failing to support his government after the attempted military takeover and made overtures to the West’s regional rivals, namely Russia and Iran. Yet despite the cooling of relations, Turkey’s national interests will prevent it from rejecting its Western alliances. Rather, Ankara’s rapprochement with Russia and Iran is meant to pressure Washington into supporting Turkey’s regional goals. During the coup attempt, European Council President Donald Tusk declared, “[t]he EU fully supports the democratically elected government [of Erdoğan]”, a sentiment publicly shared by Europe’s national leaders. Yet most also urged Ankara to abide by the rule of law in its treatment of the conspirators, which has put Turkey and the EU at odds. In the aftermath of the putsch, Turkey has detained tens of thousands of people from the armed forces, police, judiciary, and public service for alleged involvement in the plot. Meanwhile, more than a hundred media outlets have been closed down. Erdoğan has even alluded to reintroducing the death penalty, which would suspend his country’s bid to join the EU. Europe’s criticism of this crackdown has angered Turkey, which claims the West had not been forceful enough in denouncing the military’s actions. The dispute compounds already strained tensions between the EU and Turkey. A migrant deal that came into effect in March – in which Turkey accepted the return of migrants from the EU in exchange for visa-free access to the Schengen – looks increasingly unsustainable. 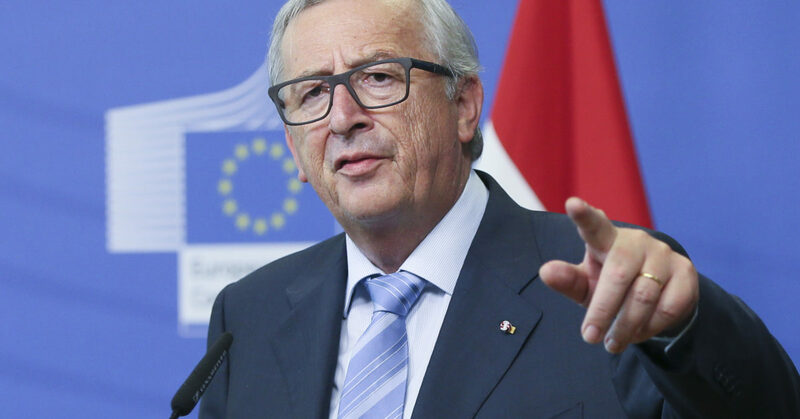 On August 21, European Commission President Jean-Claude Juncker again insisted Turkey must narrow its definition of terrorism to proceed with talks on visa-free travel, warning that the use of the country’s anti-terrorism laws against “intellectuals, scientists and journalists… is not the fight against terror that we mean”. In response, Turkey threatened to stop enforcing its side of the migrant deal. Two days later, Turkey withdrew its ambassador to Austria, where officials have been warning Turkey is headed towards dictatorship, a claim Ankara says is based on “radical racism”. The odds of Turkey joining the EU now seem more remote than ever. Similarly, the US reacted swiftly to the attempted coup. Within hours, President Obama issued a statement in support of the “democratically elected government”. However, relations quickly soured. Turkey accused Fethullah Gülen – a Turkish cleric living in exile in Pennsylvania – of orchestrating the coup and issued a formal request for his extradition. At the time of writing, US Justice Department personnel are in Turkey to evaluate this request but officials warn there is little evidence to support the accusation. 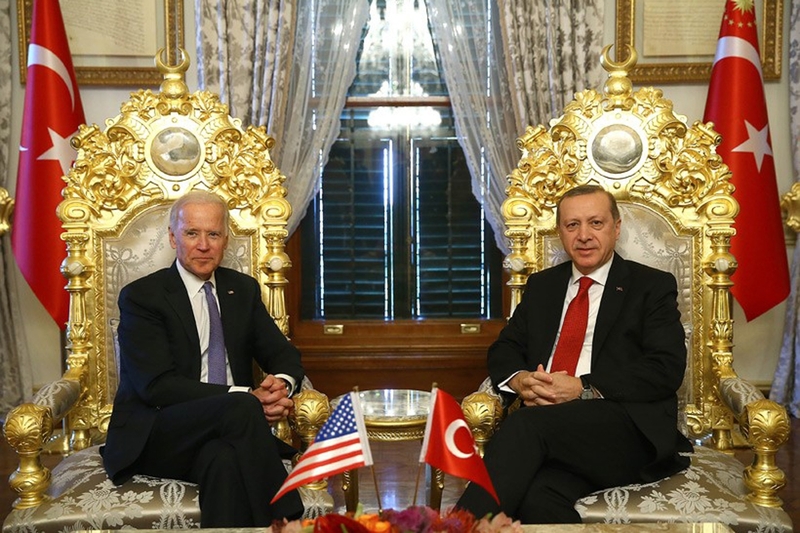 Vice President Joe Biden has also visited Turkey in an attempt to ease tensions. His attendance in place of John Kerry is telling. 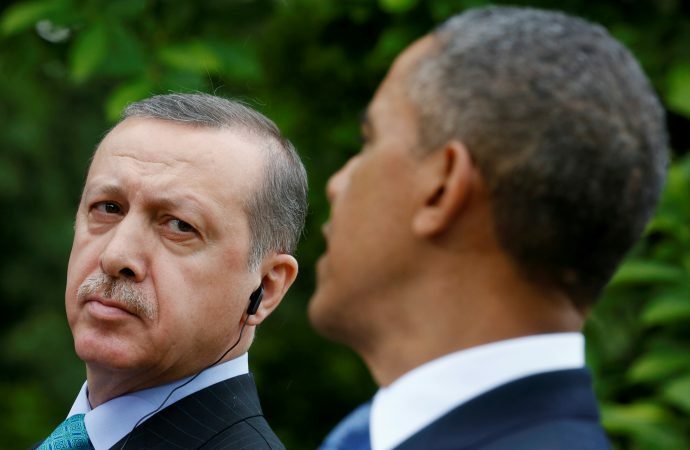 Kerry had warned Ankara that its post-putsch clampdown could put it foul of NATO’s democratic requirements. Kerry’s non-appearance, likely an appeasement of Ankara’s sensitivity to criticism, reflects the state of relations between the NATO allies. This decline in Turkey-West relations is in stark contrast with Ankara’s improving ties with Russia. The two states clashed late last year after Turkey shot down a Russian jet along the Syrian border, prompting far-reaching Russian sanctions on bilateral trade. However, relations were restored in June after Erdoğan apologised for the incident and the Kremlin’s support for Erdoğan’s government since the military’s aborted takeover has hastened this recovery. Ten days after the attempted coup, Russia and Turkey agreed to resume work on two major joint infrastructure projects, stalled since November, and on August 9, Putin and Erdoğan met in St Petersburg where they held “very positive” talks. The two sides have also committed to enhancing anti-terror cooperation, with Turkey’s Foreign Minister hinting at joint military exercises and intelligence sharing. A further shift in Turkey’s post-coup foreign policy has been improving relations with regional rival Iran. Tehran gave its full support to the elected government in Ankara but qualified its position by encouraging Turkey to do the same for President Assad in Syria, a key Iranian ally. Erdoğan has been one of Assad’s fiercest critics and an early proponent of removing him from power. This rhetoric has changed recently, with Turkish Prime Minister Binali Yıldırım indicating Assad could have a place in Syria’s transitional period, although not in its future. The shift in Turkey’s foreign policy has led to speculation of cooperation between Iran, Russia, and Turkey over settlement of the Syrian conflict. Russian warplanes conducted missions over Syria from an Iranian airbase last week, a reflection of their tacit alliance in the civil war (although Iranian permission to use the base has since been withdrawn). Turkey has vowed to take a more active role in Syria, a statement believed to be targeted at combatting the Kurdish People’s Protection Units (YPG), which Ankara views as an extension of its domestic Kurdish insurgency. The YPG began fighting Syrian government forces in mid-August, creating a confluence of interests between Turkey and Assad, as well as Iran and Russia. However, this could test Turkey-US relations, as Washington hopes to use the YPG to defeat ISIS. These policy adjustments are based on national interests. Any action Turkey takes against the YPG is intended to improve its own security rather than Assad’s. Moreover, Ankara has allowed forces loyal to the anti-Assad Free Syrian Army (FSA) to mobilise in its territory and on Thursday provided it with direct military support in its successful assault on the Syrian town of Jarablus. By assisting the FSA, Turkey has thwarted the YPG’s attempts to expand their territory. But this will also embolden the FSA, which is under pressure on numerous fronts across Syria. It is unlikely Iran or Russia approve of this strategy. Ankara’s improved relations with Moscow and Tehran are not a permanent shift in its foreign policy. Rather, Ankara is using its relationships with the two Assad-allies as leverage to pressure the West into recognising Turkey’s regional interests. Coordination against the YPG is designed to remind Washington that its support for the Kurds is opposed by its NATO ally; the operation against Jarablus has already forced Biden to warn the YPG against further territorial expansion. These same national interests will keep Turkey in the Western sphere. Even if its path to EU membership is stalled, Ankara cannot ignore the economic advantages of close association with the bloc. On the economic front alone, Turkey’s trade with the EU ($180 billion) was almost six times the value of its exchanges with Russia ($31 billion) in 2014 – before last year’s sanctions. Moreover, Turkey will almost certainly retain its membership in NATO: Turkey is still a key partner in the fight against ISIS, with Turkish warplanes and artillery striking ISIS positions in Syria as recently as Wednesday. While Turkey is certainly playing hardball with its foreign policy agenda, the pivot to Russia and Iran does not a represent a structural shift in its geopolitical stance. The author would like to thank Murat Yurtbilir for his assistance in writing this article.